Stay At Home – And Live Longer? To answer the question ‘can staying in your own home help you to live longer?’ it’s important to take a look at what researchers have to say on the matter. There have been many studies examining the relationship between long term care in care homes and nursing homes, and mortality rates; and many exploring whether there is a connection between the type of care received in old age and life expectancies. However, there are two studies that really stand out. The first study was one of the very first specifically looking at whether an association between care choice and life expectancy existed within England and Wales. Published in the 2013 Age & Ageing journal, ‘Mortality in older care home residents in England and Wales’ studied 10,000 care home residents and 350,000 people living in the community between the ages of 65 and 104. Within one year, it is reported that 26 percent of the care home residents died, compared to just 3 percent of those who remained in their own homes. Of course, it could be argued that people in care homes would typically be expected to display greater health concerns than those in the community, but when looking specifically at dementia patients, mortality rates were higher for care home patients than for those who had chosen to remain at home and live independently. The second study that stands out focused upon a specific condition – stroke – and looked at whether the type of care received following initial hospital discharge made any difference to how much longer a person survived. The researchers of ‘Exploring the associations between long-term care and mortality rates among stroke patients’ identified a similar trend – that mortality rates were higher in care homes than they were in the community. The study concluded that ‘the odds of dying within 6 months after discharge for stroke patients receiving home or community-based care was significantly lower than those in institutions’, suggesting that yes, remaining in your own home can help you to live longer in some situations. Having seen evidence that indicates staying in the community can improve life expectancy, one question that needs to be asked is ‘why?’. Logically, it would seem that having the increased care, support, and medical intervention available at a care home would enable older people to live longer, but there’s a trend for exactly the opposite. Why? While there are many different theories for these findings, one of the most common reasons is a concern regarding the quality of care received in care homes. 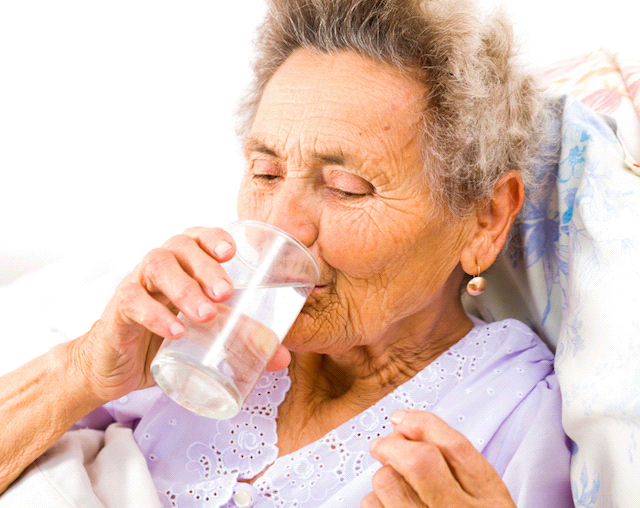 According to the Barnet and Chase Farm NHS Trust, older people are 5 times more likely to suffer from dehydration – and the effects of dehydration – while in a care home than in their own home. This statistic was based on the analysis of hospital admission data in London. While the exact reason for this increase in risk is undetermined, and there are many possible causes – high populations of dementia patients who may refuse water, for example – it’s important to consider that poor care home standards could play a significant role. The NHS explores the possibility that older people may be restricted in their fluid intake to avoid bed wetting. 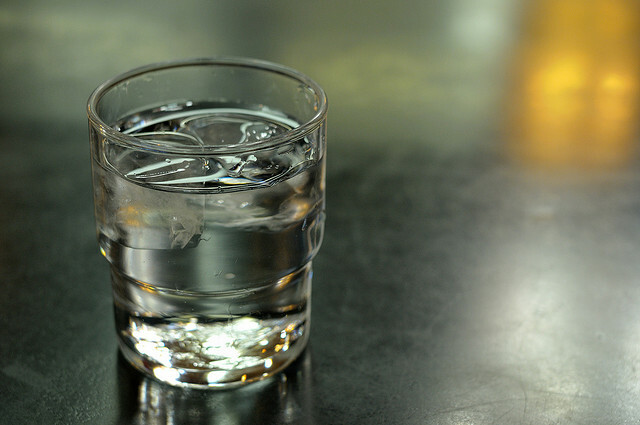 Dehydration can be very serious for older people, and Nursing Times reports that 650 care home residents died of dehydration between 2006 and 2011. The NHS also reports that older people are 3 times more likely to experience a fall in a care home, and that they are 10 times more likely to fracture a hip during a fall than they would be if they were in their own home. Of course, it can be argued that people in care homes may suffer with poorer health than their community counterparts, and have a greater incidence of memory problems, balance issues, and confusion that could increase the risk of falling, and they may typically be more frail which can leave them more vulnerable to fractures. However, there are other factors to consider. The Centers for Disease Control and Prevention in the United States, for example, reports that between 16 and 27 percent of falls in care homes are due to environmental hazards such as wet floor, poor lighting, and so on, suggesting that older people may be at greater risk in a care home. Living independently can, for many older people, be a better option than a care home in terms of quality of life, life satisfaction, happiness, risk, and health. However, if you, a parent, or a family member is struggling with any form of reduced physical or mental health, including conditions that are often said to be just a natural part of the ageing process such as limited mobility or mild confusion, then it’s important to take measures to create a safe and secure environment that facilitates independent living. Adapting the home, identifying and locating community resources, and arranging for necessary community care are all steps you can take towards providing a safe living environment for the elderly. If you feel that you need a little extra help with some everyday tasks such as bathing, or if you’ve identified that an elderly parent or relative could use a helping hand, arranging community care can be an excellent alternative to 24 hour support in a residential home. The level of care can be adapted based on changing needs, and carers can undertake personal tasks that you may not feel comfortable doing yourself. Muscle degeneration is a normal part of ageing, but that doesn’t mean it shouldn’t be addressed. If you or an elderly family member lives in a multi-storey home, consider installing a stairlift that allows them to safely and easily move around the home. Outdoor stairlifts are also available if there are steps leading up to the property, enabling older people to get out and socialise, or simply enjoy the garden on a sunny day. Another common complaint amongst the elderly is difficulty with balance, which again is often a normal part of ageing. 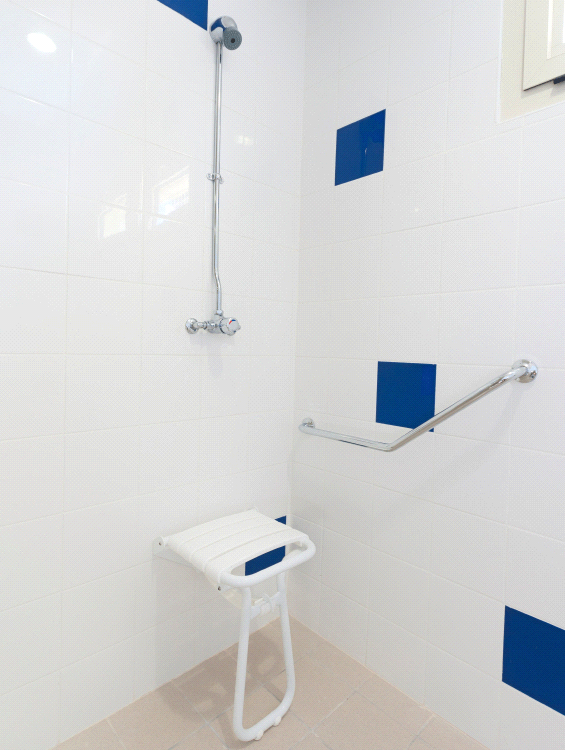 Balance devices such as walking frames, canes, or grab rails for the bathroom provide a bit of extra support and reassurance, increasing confidence and encouraging older people to maintain a normal lifestyle by undertaking everyday activities without the need for human assistance. If you or your elderly parent or relative lives alone and has little interaction with family or friends due to distance or health issues, consider checking out some local groups designed for older people. Organisations such as Contact the Elderly, for example, arrange regular meet-ups for the over 75s, widening social circles, improving socialisation, and reducing the risk of loneliness, isolation, and depression. Believe it or not, those with only mild health concerns may be able to continue living in their home with little more than a bit of good home organisation. To help an elderly parent stay at home, find a suitable place to keep medications that are within easy reach, place an emergency contact list (yourself, GP, emergency GP) next to the telephone, and make use of storage to declutter the floor and reduce the risk of trips. If you decide to continue living at home, or are helping an elderly parent or relative to remain in the community, it’s important to promote safe and responsible living. Regular reviews of living situations are essential for risk monitoring, and to determine whether the benefits outweigh the risks. The good news is that more and more organisations and government sectors are making it easier for older people to stay in their own homes by providing support and minimising risk. In 2015, for example, Acorn Stairlifts assisted local people by donating stairlifts to patients of the Sue Ryder Manorlands hospice in West Yorkshire, making it easier and safer for older people to remain in the community. These stairlifts gave older people more freedom to move around the home, allowing them to move between upstairs and downstairs spaces to perform everyday tasks and retain a normal lifestyle. Whether you’re making the decision on the type of care you wish to receive for yourself, or are helping an elderly parent, friend, or relative make the decision, it can be a confusing time. While many older people do want to remain living in their home, and while some people may be better off staying in the community, others may require a level of care that only care homes can provide. If an older person is unable to safely care for themselves with home adaptations, or if the level of community care available isn’t enough to significantly reduce the risk of accident, injury, or illness, then it’s important to consider whether remaining at home is a practical choice. Preferences should be weighed up alongside quality of life to determine the best decision for each individual. Article by Harold H Rigby, passionate about providing insightful advice on adjusting to retirement.